After the destruction and killing which swept Timor Leste in September 1999, a small group of KV residents felt a need to do something. A partnership was discussed with an Timor Leste village and the Kangaroo Valley Remexio Partnership was formed. Remexio is a sub-district of Aileu. The main village is Acumau which is in the mountains about 25 kms south of the capital, Dili. There are a number of satellite villages and beyond these are a scattering of smaller communities – difficult to access, rarely visited by non locals and with progressively poorer standards of living. The KVRP is a “bottom up” or “grass roots” approach to helping the East Timorese help themselves. We hope to assist the East Timorese achieve dignified living through health, education, justice and ecologically sustainable industry. We selectively try to help in ways that are different from those of the UN and other NGOs. 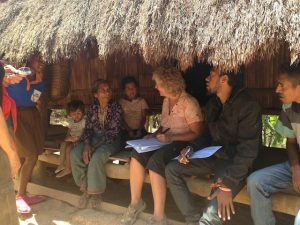 We try to foster long-term personal relationships with East Timorese people and actively encourage this approach in others. We have pursued a multitude of small, personal and usually integrated activities. We have self-funded our individual involvement and consistent with our philosophy, our material contributions were generally small, such as the provision of sewing machines, netball courts and tertiary scholarships. In 2009, by contrast, discussions with Remexio community leaders resulted in KVRP undertaking the challenge of funding a Village Lighting Project, initially for the benefit of three of the most remote communities. By 2013 the Village Lighting Project for Remexio2 has been very well received and expanded. By the end of 2016 we completed installations in 1,507 dwellings in remote parts of the district and in several schools. We raised most of the funds for this project through the 3 Treks and a crowd funded campaign in 2016, but we have worked closely with the Alternative Technology Association (ATA) for the expertise, equipment and on-ground support. We have done a detailed survey of the project at the end of 2015 which demonstrated its popular worth as perceived by the recipient families and a final evaluation of the project from the perspective of householders and key stakeholders, to be released this year. 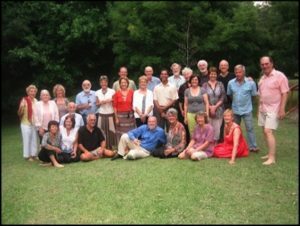 The KVRP is a loose collective of people with a similar philosophy, who meet regularly in Kangaroo Valley. They include Brian Bailey, John Ballinger, Susan Ballinger, Janet Bundey, Lynne Dooley, Robert Farnham, Sandy Fritz, John George, Helen George, Terry Hennessy, Diana Jaffray, Lynne Keevers, Trish Livesey, Les Mitchell, Michael Moore, Louise Morgan, Peter Morgan, Chris Nobel, David Prescott, Sue Prescott, Chris Pryor, Peter Stanton , Rosemary Stanton, Kerrina Swords, Greg Thompson, Libby Turnock, Paul Turnock, Martin Wesley-Smith, Peter Wesley-Smith and Rob Wesley-Smith, Sue Cochrane. With support from Lesley Knapp and Ian Watson.